Joint pain, tenderness, and stiffness associated with arthritis can prevent you from working, doing household chores, and participating in your favorite activities. To improve the feel and function of your joints, see the chiropractic team at River Oaks Chiropractic Clinic in Fort Worth, Texas. The team offers personalized and effective solutions to joint pain and dysfunction without medications or surgery so you can feel your best. Set up an appointment today to get started. Arthritis is a group of over 100 different conditions that cause joint pain, stiffness, and swelling. If left untreated, arthritis can wear away the cartilage in your joints and lead to chronic pain and joint dysfunction. If diagnosed early, treatment for arthritis can be more effective at slowing the progression of the condition and can improve your quality of life. Degenerative arthritis – also called osteoarthritis – is the most common form of arthritis and is caused by overuse or wear and tear. It often shows up in a single joint, like the knee, hip, or shoulder. Inflammatory arthritis is caused by inflammation that attacks and irritates your joints, which can also lead to deformity. Common types of inflammatory arthritis include rheumatoid and psoriatic arthritis. Infectious arthritis is an emergency situation in which an infection – spread through a cut in your skin or after surgery – attacks your joints. This can quickly cause severe joint damage and deformity. Metabolic arthritis, most often caused by gout, occurs when metabolic end-products – substances that form after the digestive process – deposit into joints and cause pain and swelling. Based on the site of your pain and your symptoms, the team develops an orthopedic exam to assess the structure and function of your joints. They provide referrals for imaging or additional treatment when necessary. Conservative methods can complement other treatments you might be receiving for arthritis, such as prescription medications from your rheumatologist. 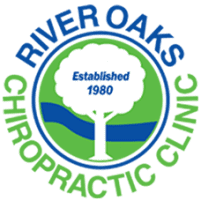 To schedule a visit at River Oaks Chiropractic Clinic, call now.